Global positioning technology, or GPS, is one of those inventions that forever alters the way we live and do business. Many people are familiar with small GPS devices that are used in cars and on personal watercraft, but few people know just how important GPS technology has become to the business world. There are many businesses that could benefit immensely from the type of information GPS devices provide and GPS Tracking Canada is here to help you figure out how to make GPS work best for you. Even if you're relatively unfamiliar with the technology behind GPS tracking, you probably know that satellites are the backbone of the system. In fact, every GPS device (both public and government-owned) operates off of the same 24 satellites orbiting the Earth. These satellites were put up by the U.S. Department of Defense, and were opened up to access for public and private use by the U.S. government. 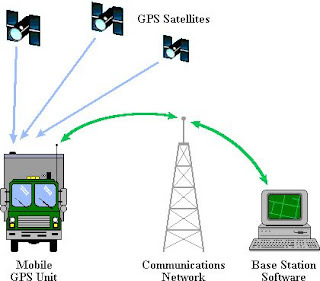 GPS devices determine their position by receiving radio signals broadcast from the GPS satellites orbiting above. Using three-dimensional trilateration (a relatively simple technique, despite the name), the device figures out its distance from three or four different satellites in the network, and then calculates its own position using this information. Once the device's position has been determined, this information is either stored in the device itself (for downloading later to a computer) or sent to an end user via cellular phone networks and even the Internet. Devices that have the ability to constantly communicate their position to you are called "active tracking devices," while those which only store data are called "passive tracking devices."